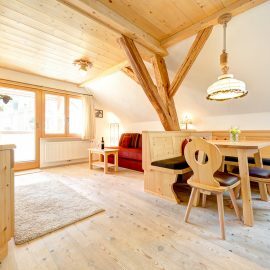 The Penthouse Mountain View is lovingly furnished in Alpine style for up to 8 people. Even children will feel right at home with plenty of toys. A comfortable access to the attic of the lift from the underground parking directly into the apartment. 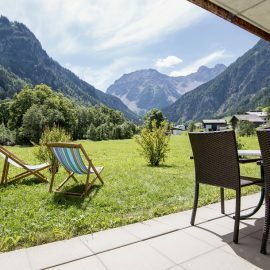 The open view from the living and dining room or from the large terrace in the Brandner mountains will enchant you. In winter, the apartment in Haus Mountain Lodge Nr. 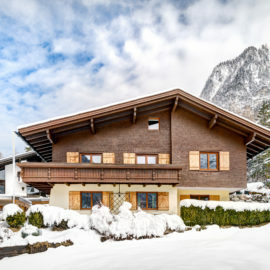 E is well connected to the alpine ski business – the valley station Palüdbahn is in the immediate vicinity. The downhill can be extended to the front of the house, the cross-country ski trail leads past the house. In summer, in addition to the benefits of the mountains with natural lake, several tennis courts, an 18-hole golf course and a climbing garden various recreational activities in fire possible.